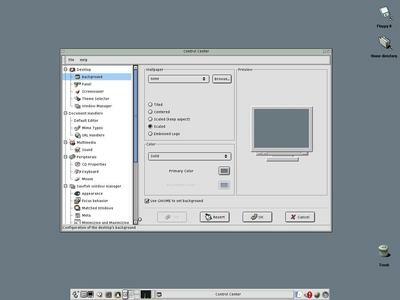 Linux X-Windows Enlightement DR16 in Xinerama (dual monitor) mode running GQView. 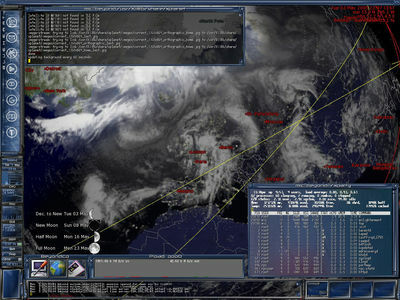 Linux X-Windows Enlightenment DR16 (BlueHeart theme) with Xdesktop running on the root desktop tracking ISS and Hubble. 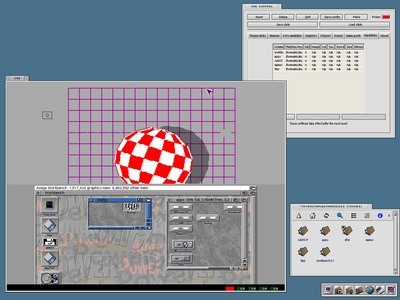 Linux X-Windows Sawfish running UAE Amiga emulator. 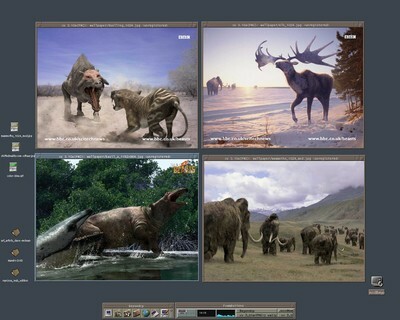 Linux X-Windows FVWM2 running XV image viewer and Rox-Filer filemanager.